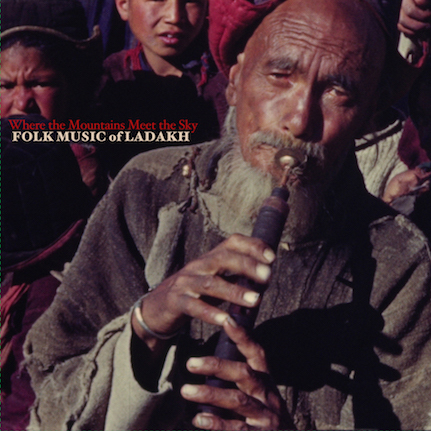 Music from Ladakh recorded during the making of the film The Song Collector by director Erik Koto with additional material recorded by Bill Kite in 1992. “Situated high in the Western Himalaya, Ladakh is one of the great cultural crossroads of Asia. For centuries, it sat at the hub of ancient trade routes that connected the Silk Road to India, Tibet, and Kashmir. Each year, once the winter snows had melted from the high passes surrounding Ladakh, its markets would buzz with merchants from throughout central Asia. They brought spices, wool, salt, and silk. They also brought their instruments and their folks songs. Over time, these diverse musical influences laid the foundation of Ladakh’s unique folk traditions. Folk music became central to the daily life of the Ladakhis with song serving as an essential form of communication, documentation, and entertainment. This collection of songs is intended to offer a sampling of the range of Ladakh’s folk music. These songs also celebrate one of the great folk artists of Ladakh, Morup Namgyal. Morup is an avid preservationist and during his 30-year career working at Ladakh’s only radio station (All India Radio, Leh) he recorded a vast archive of Ladakhi folk songs. This collection of over 1,000 recordings was unlike anything else in Ladakh and formed a crucial link to a dying folk tradition. Tragically, it burned to the ground in 2002 when a fire raged through the old wooden radio station building. The loss was devastating, but Morup immediately set about recreating the archive. Five of the songs on this album, recorded in 1992, are among the handful of tracks to have been spared by the fire. Limited edition vinyl LP with full-size insert containing historic photos, song lyrics, and liner notes by Erik Koto.